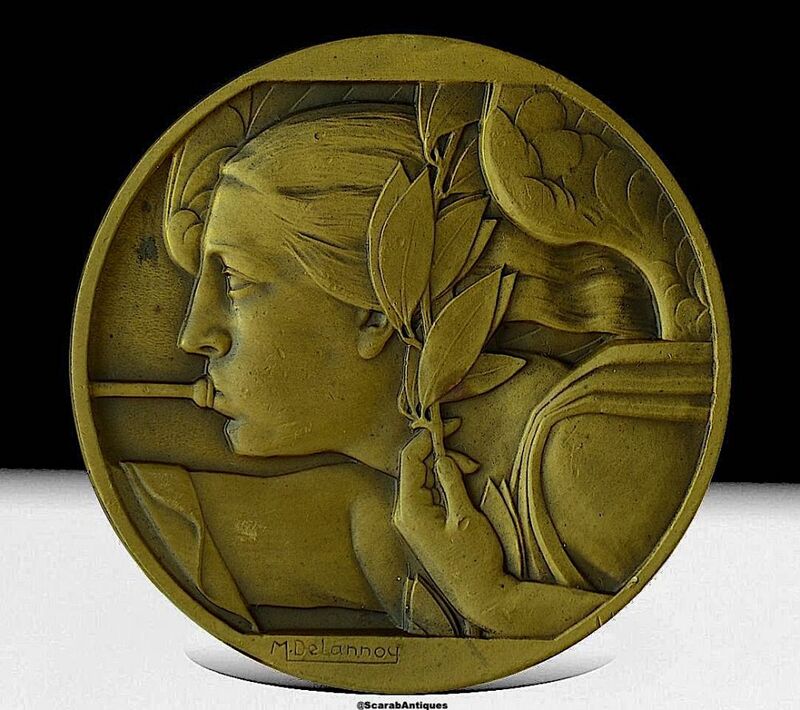 Another great medal by Maurice Delannoy. The obverse depicts a winged woman (Marianne) looking to the left blowing a trumpet & holding an olive branch. It is signed "M Delannoy". 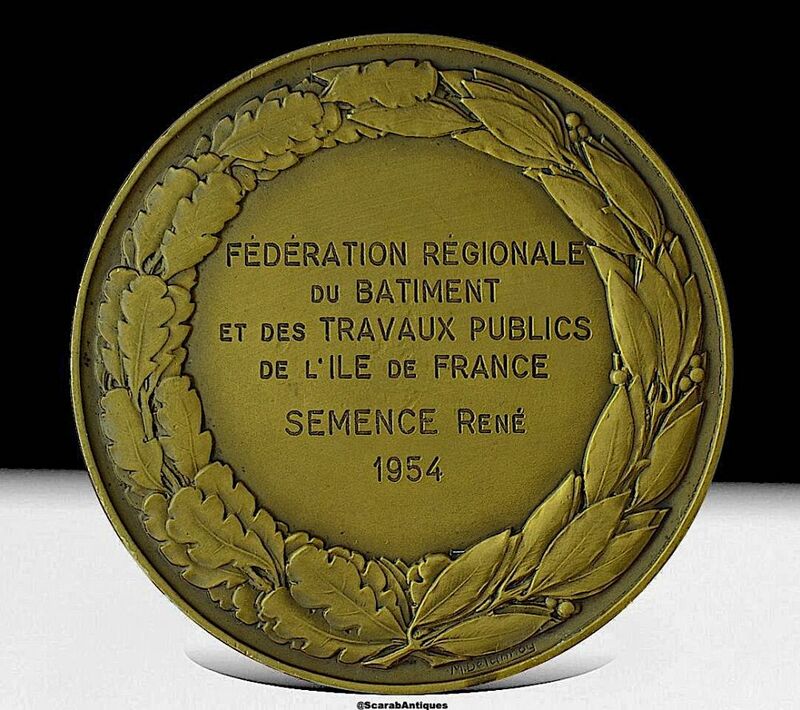 The reverse is engraved "Federtaion Regionale du Batment et des Travaux Publics de l'Ile de France Semence Rene 1954" within a wreath of oak & olive leaves. The rim is stamped "Bronze" and has a triangular cartouche with the initials of the foundry.